This time of the year is kind of slow in terms of noteworthy uniforms. So, this edition of the Sports Fashionista will will be kind of potpourri of image choices. Catching Some Rays. The Tampa Bay Rays have one of the best records in baseball, but their designated hitter certainly does not have one of the best looks in baseball. 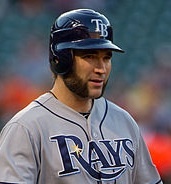 Luke Scott has been sporting some weird facial hair this season. I'm not sure if this is a tribute to General Ambrose Burnside from the Civil War or Wolverine from X-Men. Either way, this look cannot help garner endorsement deals. Did I Do That? No, that's not Steve Urkel giving a post game interview. 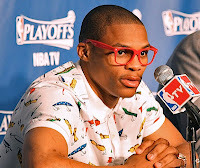 It is the Oklahoma City Thunder's all-star point guard Russell Westbrook. Following a playoff victory over the Lakers on May 15, Westbrook went to the podium wearing a shirt that featured fishing tackle and glasses that did not feature any lenses. This outfit generated lots of conversation on sports talk shows and received mixed reviews. Who says OKC is not a fashion center? Colorful Character. On May 6, Rickie Fowler won his first PGA tournament. But it wasn't just the 23 year-old's play on the course that turned heads. It was also his fashion sense. 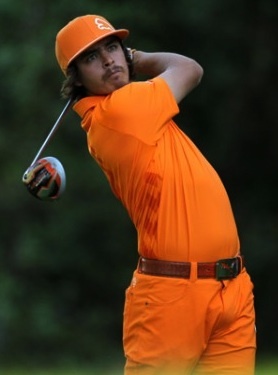 Even before this victory, Fowler had been drawing plenty of attention for his sponsor Puma with his bright color schemes and flat-brimmed hat. As a former Oklahoma State Cowboy, Fowler has made it his tradition to wear monochromatic orange on Sundays. I like the whole "true to your school" concept. But, the recent addition of the Death Wish facial hair gives me some pause. It's a Jungle Out There. NASCAR fashion is driven by its sponsors. 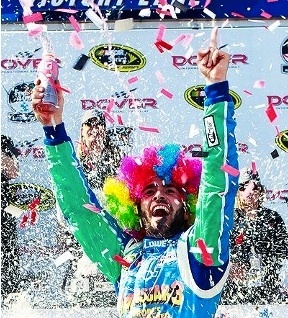 This week at Dover, Jimmie Johnson took an unusual sponsor to victory lane. The primary sponsor on the #48 car was the animated movie Madagascar 3. NASCAR drivers are very skilled at bringing media attention to their sponsors, but Johnson went above and beyond the call of duty when he donned this wig in victory lane. 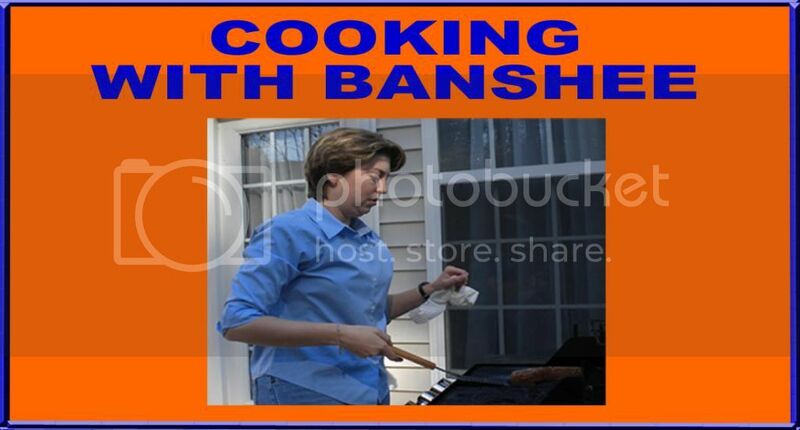 Check out Banshee Blog on Facebook. "Like" it if you like it.